Getting your eyes dilated is an important part of any complete eye exam. Once your doctor puts in the dilating drops, it takes about 20–30 minutes for your pupils to fully open, or dilate. After your eyes are fully dilated, the effects will last for four to six hours for most people. Some people feel the effects of dilating drops for longer, including people with lighter color eyes. Dilation in children can last up to a full day after the exam. It’s impossible for your doctor to tell you exactly how long the effects of dilation will last and how severe they will be. Everyone’s eyes react differently to dilating drops. The important thing is to use caution as long as your vision is blurry or your eyes are light sensitive. What are the side effects of eye dilation drops? Dilation is harmless in the long term, but it does come with short-term side effects. These will usually last for about four to six hours. If you wear contact lenses, you may not be able to wear them until the dilation drops wear off. Why is eye dilation important? Dilation allows an eye doctor to look inside your eyes. Dilating drops widen the pupil (the black part of your eye) so that it doesn’t get smaller when your doctor shines a light at it. The widened pupil allows your doctor to use a magnifying lens to look inside your eye and at the back of your eye. They’ll look at the retina, optic nerve, blood vessels, and other parts of your eye that can’t otherwise be seen. It also helps diagnose some chronic conditions that affect more than your eye, such as high blood pressure and diabetes. This is because those conditions can lead to changes in the eye. For example, high blood pressure could damage the blood vessels in your retina, which can be seen only when your eye is dilated. 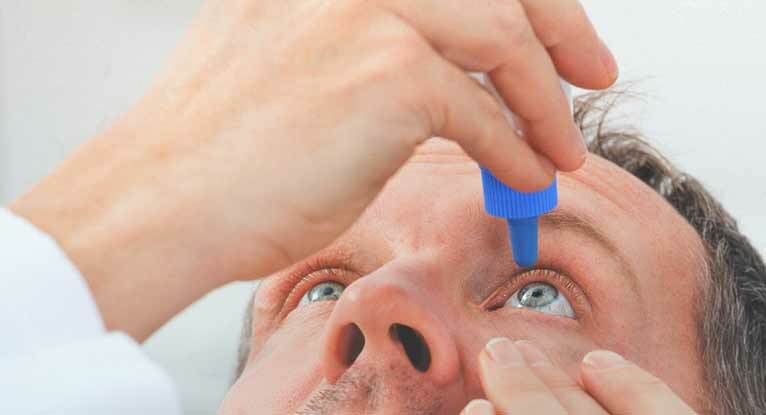 Dilating drops can also be used to treat certain eye conditions. These include eye inflammation and amblyopia, also called a lazy eye, which is a condition where one eye doesn’t properly connect with the brain. Dilating drops used as treatment have the same effects as drops used during exams. Have a friend or family member drive you home from your appointment, or take a taxi. Many people drive themselves home if they’ve experienced dilation in the past and feel comfortable doing so. Bring sunglasses to protect your eyes after your appointment. Sunlight might hurt your eyes. Your doctor’s office might offer sunglasses after dilation, but bringing your own never hurts. Take a few hours off work if possible. Reading may be hard, and it’s important to not strain your eyes. Eye exams aren’t just to check your vision. They can also help diagnose diseases, both those that affect the eye only and other chronic conditions. It’s important to have regular eye exams even if you don’t have any vision problems. Annual eye exams are also recommended for all adults over 60, regardless of any eye conditions. African-Americans and Hispanics should have annual eye exams beginning at age 40. That’s because both of these groups are at a higher risk for glaucoma. Dilation may be uncomfortable or inconvenient for a few hours, but it’s an essential part of health screenings. Dilation can help your doctor diagnose not just eye conditions, but other health conditions as well. Having an eye exam with dilation every one to two years will help keep you and your eyes as healthy as possible.